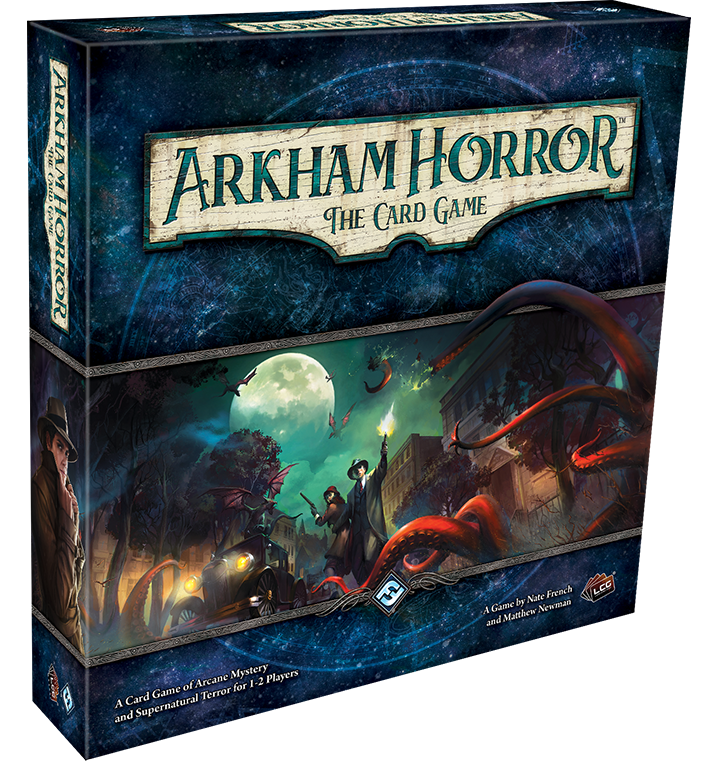 Arkham Horror: The Card Game is a cooperative Living Card Game® set amid a backdrop of Lovecraftian horror. As the Ancient Ones seek entry to our world, one to two investigators (or up to four with two Core Sets) work to unravel arcane mysteries and conspiracies. Their efforts determine not only the course of your game, but carry forward throughout whole campaigns, challenging them to overcome their personal demons in a manner that blurs the distinction between traditional card game and roleplaying experiences. 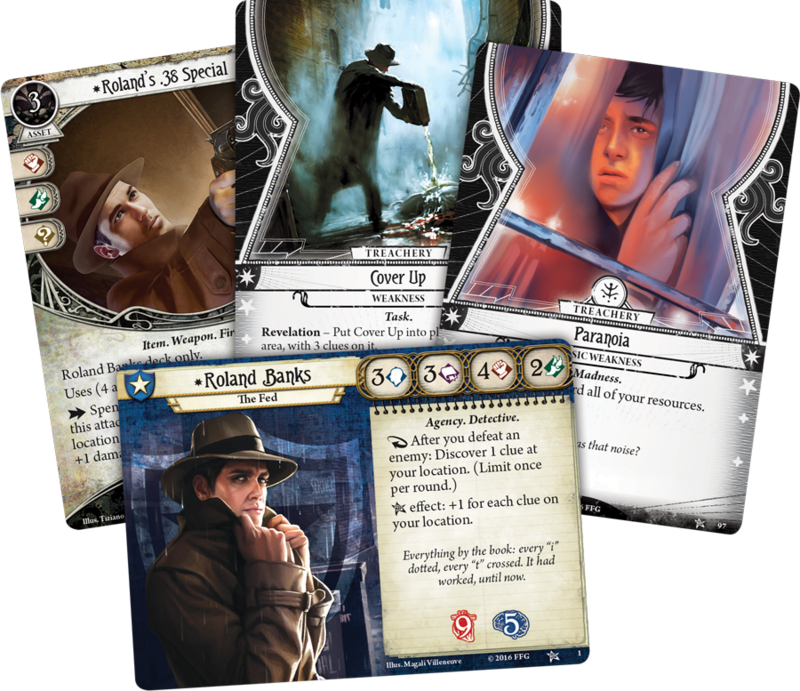 In Arkham Horror: The Card Game, you become one of the game's investigators, complete with a unique set of strengths, flaws, and personality. You build your deck with cards from one or more of the game's five classes, and these represent the different resources you might access during your adventure—flashlights, knives, magnifying glasses, obscure tomes, shotguns. You might also discover new talents or convince an ally to accompany you. However, even though you'll be fighting monsters that defy explanation, you'll still be all too human. You only have two hands to hold objects. You have only one neck and one body. And you can only grasp a finite measure of arcane knowledge. Beyond all this, you're flawed, and you'll be forced to add a personal weakness into your deck, along with other cards that may represent your fears or other ghosts from your past. 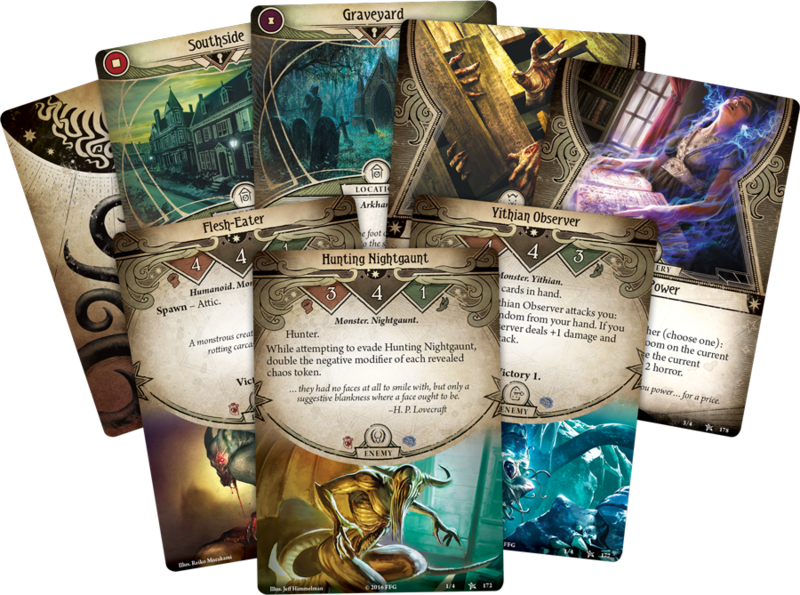 Arkham Horror: The Card Game offers you tremendous freedom to conduct your investigations according to your own designs. However, you must act quickly if you hope to thwart the forces of evil and their sinister ambitions. Rather than having your actions driven by the cards in your hand, you gain three actions each round to use as you see fit. Assemble a shotgun, explore the room you're in, or travel to a new location—you control the pace and trajectory of your adventure. The only catch is that you must gather enough clues to get through the act deck before the forces of evil progress through their agenda deck. Each adventure features a different set of acts and agendas, as well as a custom encounter deck that confronts you with enemies and treachery cards specifically tailored to the scenario. You might be waylaid by ghouls or chased through the streets by masked cultists. There's no telling what you may face—only that evil will find you.